Euro Palace has a Loyalty Program which earns players points for all wagers. Besides this, there is a 100% deposit bonus for the 1st, 2nd, and 3rd deposits for players in selected countries. There are also ongoing weekly and monthly promotions; make sure to visit the promotions page or sign up for notifications on the latest offers. At Euro Palace, everyone has something to enjoy. The game categories cut across online slots including jackpots, video poker, card games, table games, and a wide variety of live dealer games. Favorite games on the Euro Palace mobile casino include Mega-Moolah Progressive, Avalon, Cool Buck 5 Reel, Immortal Romance, Thunderstruck II, and Six Acrobats, among others. As for casino software vendors, Euro Palace is in partnership with Microgaming only. While many criticize the casino for lacking versatility, it is essential to understand that Microgaming alone is enough to sustain such a high-profile mobile casino. The company is renowned for being the first to introduce an authentic online casino game back in 1994. Euro Palace works with all the popular payment platforms to ensure prompt and secure money transfer. Players can load their accounts using PayPal, Neteller, Skrill, UKash, Trustly, Diners Club International, Todito Cash, iDEAL, POLi, Maestro, Paysafe Card, Visa, and JCB just to mention a few. The minimum deposit amount is €10. Withdrawing winnings is also a buzz. eWallet withdrawals are the fastest and typically mature within 24 hours. Withdrawing to credit and debit cards is also possible and takes 2-6 days. Bank transfers, on the other hand, take 3-7 days while cheque withdrawals have a turnaround time of 14-21 days. The maximum withdrawal limit is €5000 per week. Euro Palace Casino is designed to serve players from all regions of the world, and that’s the reason it is available in multi-languages including English, German, Italian, Spanish, Norwegian, Swedish, Russian, and French among others. The language menu is on the top-right of the website and can be changed anytime. To complement a multi-language platform, DigiMedia has also brought on board a multicurrency system allowing players to gamble in their native and preferred currency. So far, the mobile casino supports US dollars, British pounds, Australian dollars, euros, Russian rubles, New Zealand dollars, Norwegian kroner, Swedish kroner, Swiss francs, and so on. Euro Palace Casino is available as a download, instant play, and mobile gaming as well. It is supported in almost all the popular devices and operating systems, for example, desktop, tablet, and mobile, Windows, Mac, Android, iOS, e.t.c. The entire website is SSL secured and has an advanced fraud-management software system to keep fraud at bay. 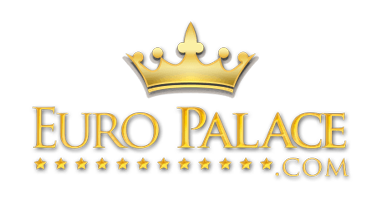 When it comes to client support, Euro Palace Casino endeavors to ensure every player has a smooth mobile casino experience. It provides several support options including a 24/7 live chat support for instant feedback. The casino also has an international telephone line including toll-free lines for several countries. An email address is also provided.